Ferrite magnets are also referred to as ceramic or hard ferrite magnets. 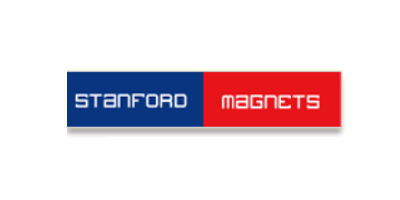 In the 1960s these magnets were developed to subsidize costly metallic magnets. Generally, they possess less energy compared to other magnets made of permanent materials. They are hard and relatively brittle. Since their creation, they have gradually won wide acceptance. This has been contributed by their excellent resistance to corrosion, good resistance to demagnetization and relatively low price per pound. That's why they become the first choice in the manufacture of most magnetic separators, DC motor and automotive sensors and magnetic resonance imaging. Their rigid physical and magnetic standard of manufacture normally exceeds the standard of Magnetic Materials Producers Association (MMPA). Strontium carbonate is combined with iron oxide to form ferrite magnets whose chemical composition is Sr (Fe2O3) or strontium hexaferrite. Its raw materials are readily available and their cost is low. This makes ferrite magnets a more economical option in multiple applications compared to magnets from other materials. Dedicated multi-carry dies are used to compact required materials which are then sintered in furnaces with high temperatures to form ferrite magnets. Hard bottle parts formed require diamond wheels to grind them to close tolerances. These magnets have considerable physical strength. However, this does not qualify them for uses as parts in a structural assembly. They should be handled with care just like any other ceramics. This reduces their chances of cracking or chirping. Ferrite magnets can suffer reversible and irreversible changes in their magnetism in different temperature variations. When temperature changes occur at the rate of 0.2% per degree centigrade, it can lead to a reversible change i.e. when rise surpasses ambient, there will be a decrease in induction. When temperature rises, ferrite magnet's coercivity is bound to go up. Coercivity is the measure of resistance to demagnetization. Exposure to extremely low temperature causes irreversible changes, and only re-magnetization can restore the magnetic quality. Providing sufficient permanent coefficient can prevent irreversible changes to the ferrite magnets. These magnets can either be isotropic in nature or anisotropic. It is possible to magnetize isotropic ferrites in any direction. This results in weaker magnetic properties. Anisotropic ferrite magnets have one preferred direction. This results in the stronger magnetic properties. They possess the strongest magnetic properties along one direction. Their power exceeds that of isotropic ferrites. Ceramic ferrite magnets are made through the powder metallurgy process. Ferrite magnets exist in two chemical varieties. These are strontium ferrite and barium ferrite. The process used to produce these magnets is called calcining. In this process, an iron oxide mixture and either barium carbonate or strontium carbonate is passed through a furnace of between 1,000 and 1,350?. This produces a metallic oxide. In other grades, chemicals such as lanthanum and cobalt are included in the mixture to enhance magnetic performance. The next stage involves milling this metallic oxide into particle sizes that are just a few microns or no more than a millimeter. Eventually, depending on the type of magnet needed, there are two options that can be used. The first method is called the simplified process. This involves pressing the fine dry powder into a die to form an isotropic magnet. This kind of magnet possesses better dimensional tolerances. Usually no further machine process is required to trim it to the final size. The magnet's random hexagonal crystal structure allows it to be magnetized in all possible directions. In the second method, the fine powder is mixed with water to form slurry. This is then compacted in a die while it is exposed to a magnetic field which is applied externally. This external magnetic field aids in perfectly aligning the hexagonal crystal structure with the magnetic field. This improves the ferrite's performance. The water in the slurry acts as a lubricant. The anisotropic ferrite magnet formed possesses stronger magnetic qualities. However, this magnet will still need to undergo additional machining processes to attain its final dimensions. In the process of making arcs, it may require a wet extrusion process rather than wet dye pressing. After the next stage which is called the sintering stage, the magnet is cut into the desired sizes. In the first method, an external magnetic field can also be applied to form anisotropic ferrite magnets like the ferrite C5. During the sintering process, compacted 'green' magnets are heated in a furnace at temperatures between 1,100 and 1,300?. During this process, the particles fuse together. In cases that require additional machining, diamond cutting tools are used. Other methods like wire spark erosion cannot be used because the ferrite insulates electrically. The faces of the magnetic poles usually require machine grinding to attain the desired finish. Other faces of the magnet are left untouched after sintering. After the magnet has been washed and dried, it is then magnetized to its saturation point. Finally it is inspected before being packed and shipped to the customer. Wet pressing produces magnets with better magnetic properties. However, they may possess larger dimensional tolerances. Dry anisotropic hard ferrite magnets possess lower magnetic properties compared to wet anisotropic hard ferrite magnets. No comments were found for Facts About Ferrite Magnets. Be the first to comment!